More students will get financial need-based aid because of legislation signed at Honolulu Community College in June 2018. 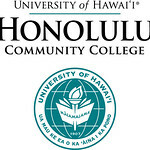 The new law adds $700,000 for “last-dollar” scholarships at seven University of Hawaiʻi Community Colleges statewide for the upcoming school year. In 2017, the state Legislature appropriated $1.8 million for the Hawaiʻi Promise program, providing scholarships to assure that community college students with unmet direct costs of education would receive financial aid. Students are first awarded Pell grants, UH scholarships and private scholarships before being awarded a Hawaiʻi Promise Scholarship for unmet direct costs such as tuition, fees, books, supplies and local transportation. Approximately 1,500 students benefited from Hawaiʻi Promise scholarships, with an average grant of $1,200, after the program was implemented in fall 2017 at a cost of $2.2 million. The UH Community Colleges made up the $400,000 difference from operating reserves. The new funding will allow UH to actively market the program to prospective students and provide an incentive for more students to pursue higher education. It’s estimated that it will allow UH to support an additional 500–600 students for the 2018–2019 academic year. There is no separate application for the Hawaiʻi Promise Scholarship. Prospective students are encouraged to complete the Free Application for Federal Student Aid and enroll at a UH Community College at least half time to be considered for all types of financial aid, including the Hawaiʻi Promise Scholarship. For any questions, contact (808) 956-8753 or uhsfao@hawaii.edu. See more images from the governor’s office.